The height of the column fully assembled is 95" tall. 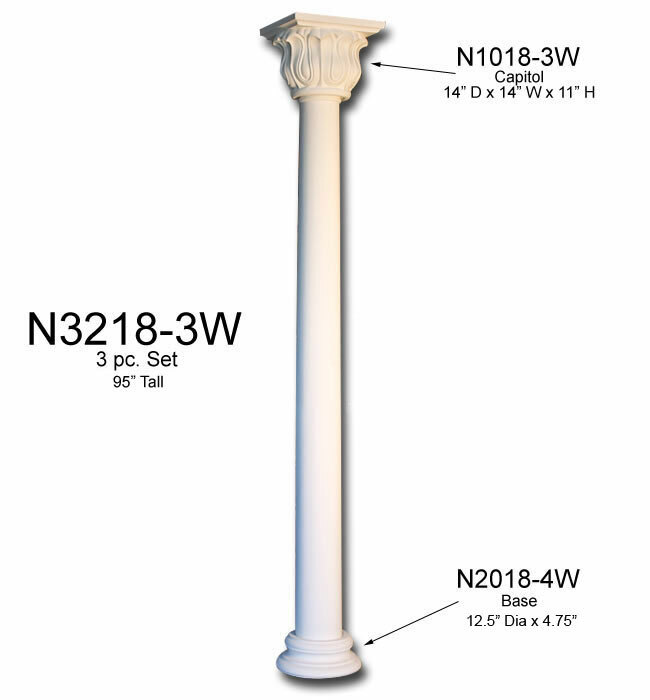 The outside diameter of the column's shaft tapers from 7-3/16" to 6.5". The inside diameter of the column tapers from 5 7/8" to 4 1/2" (The inside diameter is only important if you are using the column to hide a structural post).